WELL PRESENTED TERRACED HOME! The current owner has maintained this property to an exceptional standard, boasting spacious accommodation throughout, the property is conveniently located within walking proximity to local amenities and schools. The property comprises; the front door allows for access via the vestibule, which follows through to the hallway where you will find doors to reception one and two, alongside stairs to the first floor. Reception room two allows access to the kitchen which then provides access to the rear garden. 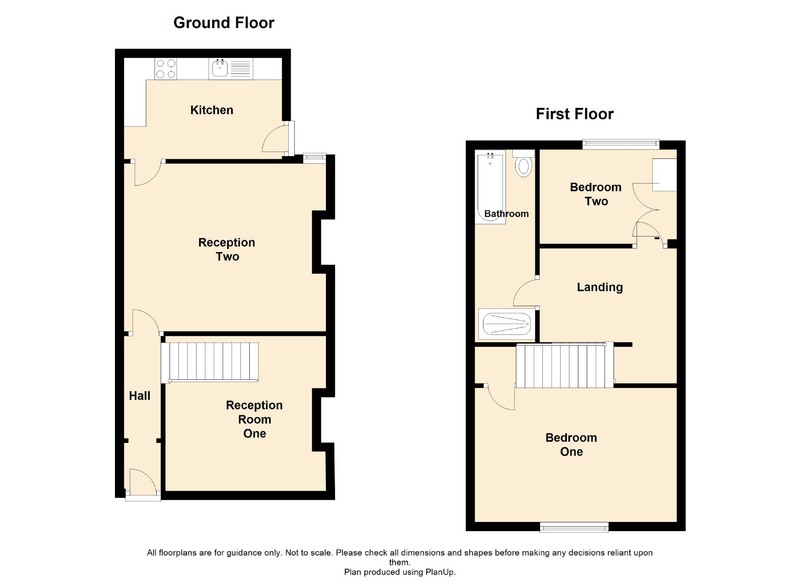 To the first floor are two double bedrooms and a fantastic modern four-piece bathroom suite. The front external of the property boasts a paved entrance. For further information, or to book a viewing, please contact our Accrington team at your earliest convenience. UPVC double glazed door to vestibule. Wood floor, stairs to first floor, doors to two reception rooms. UPVC double glazed window, central heating radiator, coving, wood floor, gas fire with polished stone surround. UPVC double glazed window, central heating radiator, coving, under-stairs storage, door to kitchen. Two UPVC double glazed windows, central heating radiator, high gloss white wall and base units, wood effect surfaces, electric oven, four ring gas hob, extractor hood, wood effect up stands, stainless steel sink with high sprout tap, plumbing for washing machine, space for an American fridge freezer, spotlights, coving, tiled floor, UPVC double glazed door to rear. Spotlights, latch to attic, doors to bedrooms and bathroom. UPVC double glazed window, central heating radiator, central heating towel rail, four piece suite comprising of a twin flush WC, pedestal wash basin with mixed taps, panel bath with mixed taps, enclosed direct feed shower, spotlight, part tiled elevations, tiled floor. UPVC double glazed windows, central heating radiator, spotlights, coving. UPVC double glazed windows, central heating radiator, spotlights, fitted wardrobes. Gated entrance with paved path.